Take a look at the image below. As fall approaches this scene is repeated over and over. 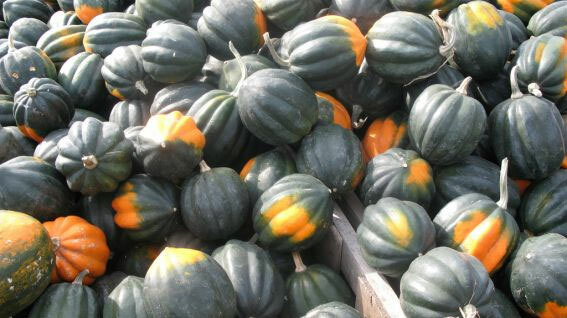 Winter squash are displayed in groups, with their fall colors of dark greens, oranges and yellows being highlighted. They look great together, don’t they? But in the eyes of the USDA one of these is actually a defect, and should be placed in the cull bin. Surprisingly the USDA instructs their inspectors to score yellow discoloration on acorn squash as a defect. This is just one of many defects the recent management within the USDA has decided to create, with little or no input from the produce industry. As you can see from above, the acorn squash coming into a packing house, from the fields, the acorn squash typically shows the orange color, offering a nice compliment to pumpkins in the fall season. 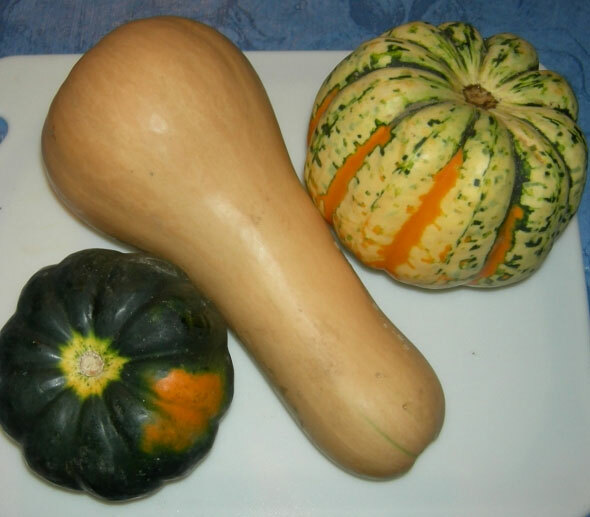 What is really amazing, is the USDA itself believes that yellow to orange color is characteristic of acorn squash. 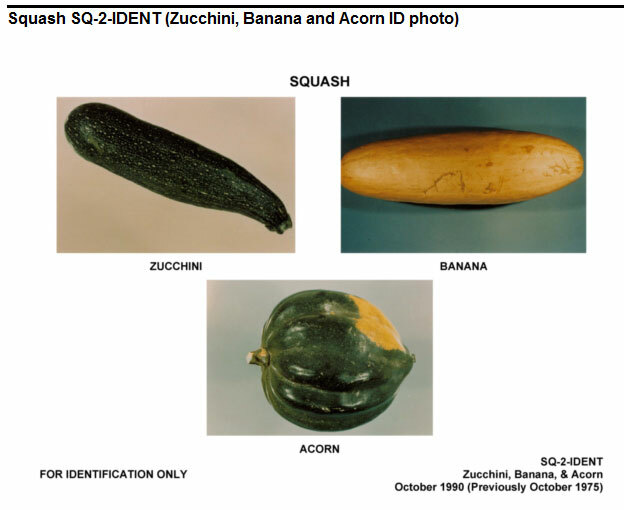 In the image above is the USDA’s own visual aid, created to assist their inspectors in identifying what a zucchini squash, banana squash and acorn squash look like. 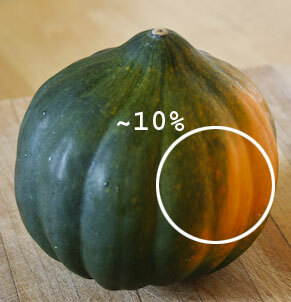 I don’t know if I am more worried about the state of the inspection service if a visual aid is needed to show inspectors what each squash looks like or by the fact the acorn squash, used to identify what an acorn squash looks like, has a yellow to orange spot on the side. But, the USDA has indeed set up scoring guidelines to use, to determine if the yellow to orange color materially detracts from the appearance of the squash and is a defect. Their instructions state; “When bright yellow to orange color, exclusive of the ground spot, affects more than 10% of the surface score as damage.” And even though the yellow to orange color is actually seen while the acorn squash is growing, the USDA has decided to classify this defect as a condition defect, implying the yellow to orange color will progress. If the acorn squash is designated as being “Golden Acorn” or “Yellow Acorn” then the yellow color would be ignored. Everyone knows why the USDA scores this as a defect. The USDA has to throw product out of grade to stay in business. If they pass loads then applicants will quit calling for inspections. No inspections mean they shut down their offices and they lose their jobs. Shippers don’t stand a chance in this racket. Impartial, honest….no way! The USDA field inspectors use the standards as a uniform guideline. It is actually the shippers and other trade members that have the most say in writing the standards as well as the scoring guidelines. If you do not like the scoring of this defect then contact the USDA standardization office and request that they revise the scoring procedures. Don’t lay blame on the field inspectors these are the guidelines that they are presented with has nothing to do with keeping their jobs. Thanks for your comment. You are exactly right, the industry does have a say in the U.S. Grade Standards, but not the scoring guidelines. There is no mention of yellow to orange color being a defect in the grade standard, this ruling came directly from USDA management. I agree, no one should blame the field inspectors; they are only doing what they are told.